It’s been eight years since the No Doubt front-woman released a solo song, since 2006’s “Early Winter”, but she’s been keeping busy (releasing a Push and Shove album back in 2012 with the band and recently being a judge on the The Voice). “Baby Don’t Lie” is a pop number with reggae and light rock mixed in, and while it is not as strong of a lead single as 2004’s poptastic “What You Waiting For”, “Baby Don’t Lie” holds it own as a overall midtempo song with a catchy hook and chorus and playful drumming. Gwen has said this will be the lead single of the yet-to-be-named third solo album that is expected to release in early 2015. The song can be listened below, and will officially release on 10/20. 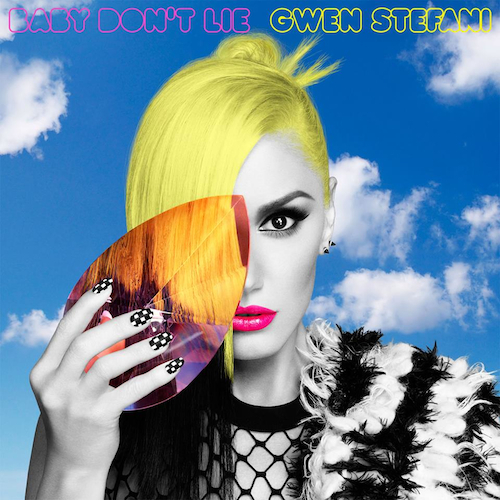 Posted on October 18, 2014, in Entertainment, Music and tagged Baby Don't Lie, Download, Gwen Stefani, music, New Music. Bookmark the permalink. Leave a comment.